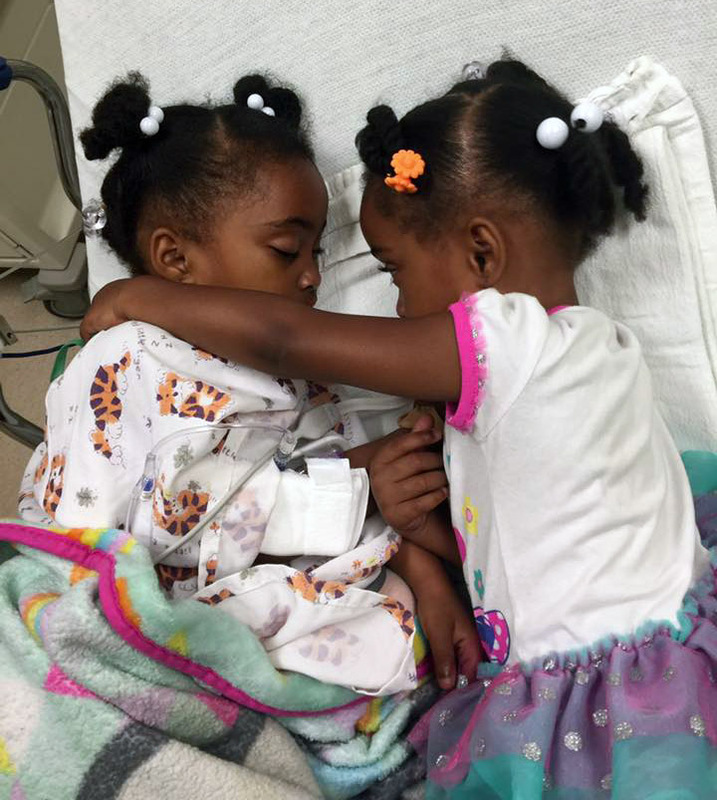 Twins Ava and Olivia both have Hemoglobin SC disease, a type of sickle cell disease, and are always there for each other, especially when one is hospitalized. Sickle cell disease and sickle cell trait may sound interchangeable, but the prognosis and care are as different as night and day. For kids diagnosed with sickle cell, Akron Children’s has a team of medical specialists who provide ongoing education and care so families are never in the dark about the blood disorder. 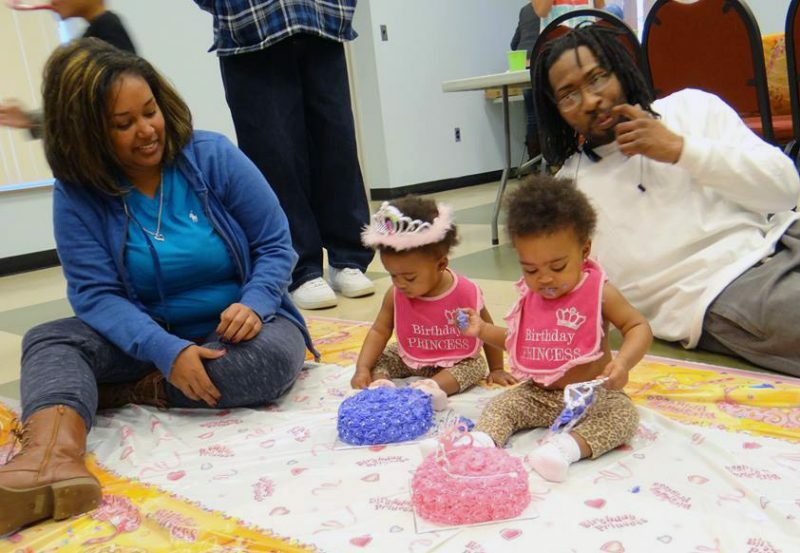 Three years ago, twins Ava and Olivia were 2 months premature when they came to Akron Children’s neonatal intensive care unit (NICU). 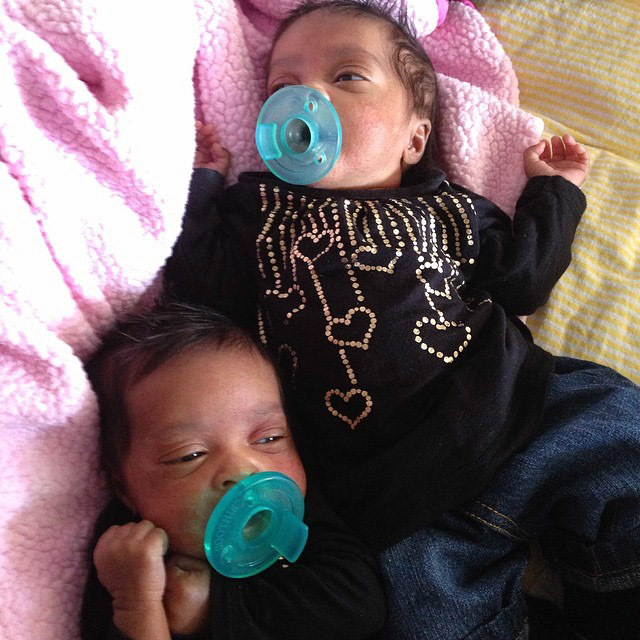 During their 3-week stay, mom talked with doctors about the girls’ newborn screening tests, which revealed both were positive for sickle cell disease. The girls were diagnosed with Hemoglobin SC disease, a type of sickle cell disease, which can cause anemia, repeated infections and periodic episodes of pain and possible organ damage. The girls just after their first visit in hematology with Dr. Prasad Bodas. 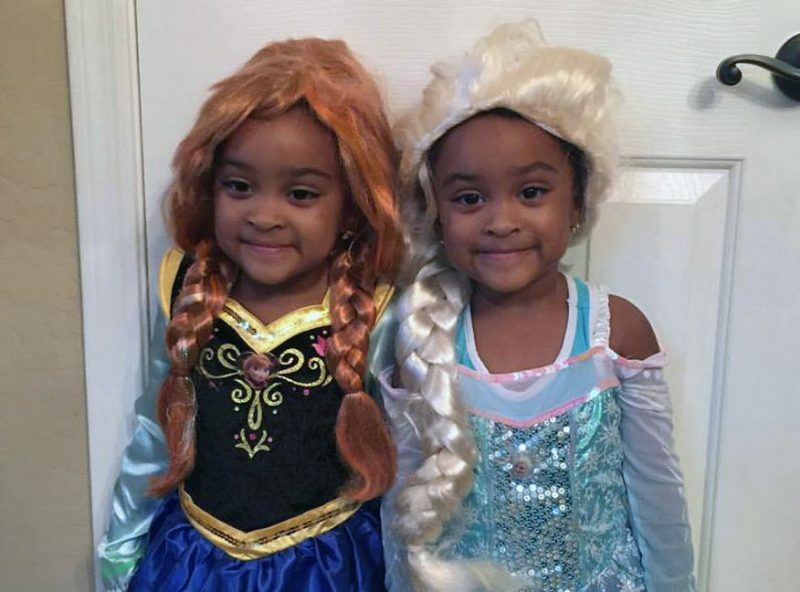 “I knew I had (sickle cell) trait and the girls’ dad did, too, so there was a chance the girls could get it…you just don’t want to think it could happen,” said Megan. The CDC estimates that 100,000 Americans are affected by sickle cell disease (SCD) and about 1 in 13 Black or African-American babies are born with sickle cell trait (SCT). Yet many parents don’t know if they, or their partner, are a carrier. Normal red blood cells, which carry oxygen to all parts of the body, move easily through the blood stream because they’re soft, smooth and round. SCD is a genetic condition in which red blood cells are shaped like crescents or sickles. These c-shaped red blood cells can become hard and sticky so blood vessels can get clogged, causing pain, anemia and even stroke. SCD is different from SCT – one can’t turn into the other. SCT is not a disease and it isn’t a mild form of SCD. Although people with SCT will never get SCD, they are a carrier of sickle cell, which can impact their children. When one parent has sickle cell trait, there is a 1 in 2 chance that each child a couple has will be born with sickle cell trait. When both parents have sickle cell trait, there is a 1 in 4 chance that each child a couple has will be born with sickle cell disease. Sickle cell conditions aren’t restricted to one ethnicity. It’s most common among African Americans, but can affect Latinos or those with ancestry from Greece, Western Asia, India, Native America or from parts of the world where malaria is or was common. As kids with SCD get older, their symptoms generally change, too. They may begin to experience chronic pain episodes, acute chest syndrome, problems with their eyes or other organs, and some are at risk for stroke. Psychological effects may also begin to form due to delays in puberty, limitations with activities, sports, jobs, school and fear of death. In support, Akron Children’s Region VI Sickle Cell Program provides annual, comprehensive exams for kids – newborn through age 21 – to monitor their health. The exams check everything – from blood tests to heart and brain scans – and offers support from dietitians, physical therapists, genetic specialists, psychologists, social workers, school liaisons and other specialties to help kids manage the effects of the condition. For kids with SCD who suffer with anemia, like Ava and Olivia, they don’t have enough normal red blood cells in their system so they may tire more easily, experience pain, get infections and not grow as fast as their friends. Megan knows it’s hard to keep her 3-year-olds from being active and curious so she tries to control the things she can like limiting their time outside and making sure they drink plenty of water, eat lots of fruits and vegetables and take their medicine twice a day. Learn more in this infographic from the CDC.